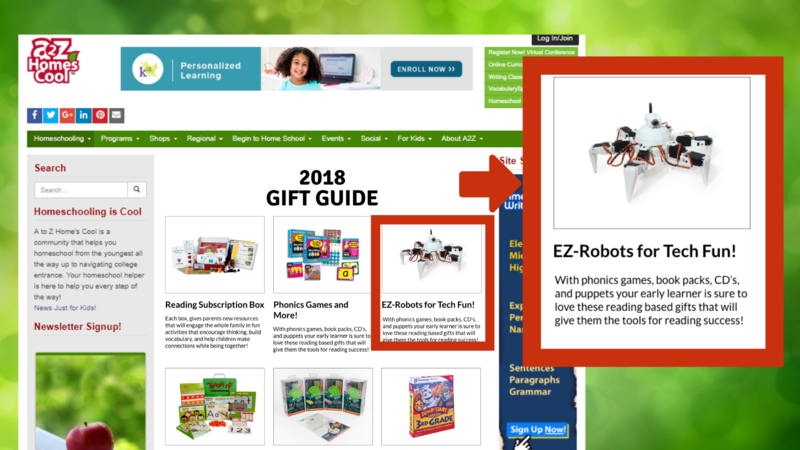 The A2Z Gift Guide has been a “go-to” for homeschool parents during the holiday season. List your homeschool product, toy, or subscription service and get seen by thousands doing their holiday shopping! For your gift guide listing please submit a 400×370 white background image of your product and a 30-word description including links for purchasing the product.